The microprocessor based N1040 was conceived for low cost applications and yet achieving high degree of accuracy. It features a short depth enclosure of only 70 mm thus reducing panel space considerably. Another important innovation is the exclusive removable wiring connection block which translates into ease of use during installation process. It accepts Pt100 RTDs and thermocouples types J, K and T and features two outputs for control and alarm, universal power supply and automatic tuning of the PID paramenters. 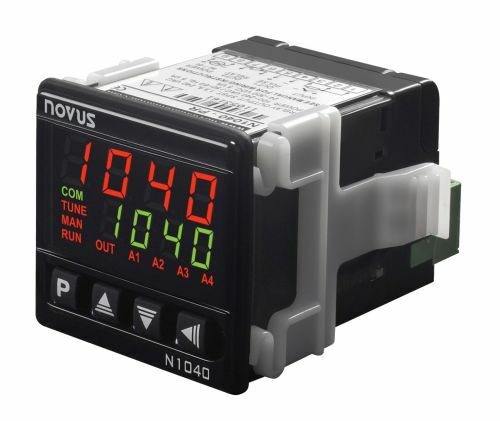 The N1040 is set to be the lowest cost temperature controller in the market while keeping high performance standards.